Singapore, 29 August 2018 – Supply Chain and Logistics Academy (SCALA) joined in the signing of an Memorandum of Understanding (MoU) to launch the FutureChina Regional Executive Programme. Together with other companies such as Infrastructure Asia, National University of Singapore’s SCALE, Human Capital Singapore, YCH Group and Rajah & Tann LLP, the FutureChina Regional Executive Programme will provide a platform to bring together the different stakeholders from China and ASEAN to network, share information and develop the human capital that is well versed in the culture and operating environments of Singapore and China, in preparation for pursuits in the Belt and Road Initiative. SCALA being a logistics and supply chain industry academy will develop and curate the supply chain human capital development modules, together with industry experts starting with YCH Group. SCALA will also conduct and facilitate learning sessions for Chinese business leaders who are new to the industry and unfamiliar with the intricacies of supply chain management in ASEAN. 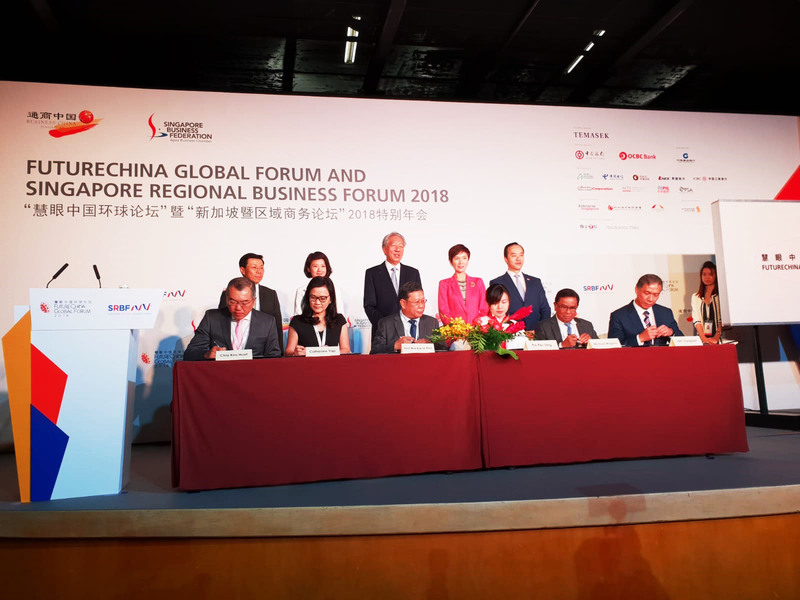 The signing ceremony was held on Monday, 27 August 2018, witnessed by Mr Teo Chee Hean, Singapore’s Deputy Prime Minister and Mr Lee Yi Shyan, Chairman of Business China, at a special joint forum organised by both Business China and Singapore Business Federation. Mr Ian Dyason (seated far right) CEO of SCALA and Ms Catherine Yap, Executive Director of YCH (seated second from right), signing an MoU with Business China to collaborate on the FutureChina Regional Executive Programme. Mr Ian Dyason, CEO of SCALA said, "We are already seeing great success with our Experiential Workplace Learning™ approach in building up talent for Singapore’s modern logistics and supply chain industry. We are excited to work with Business China to see how we may extend our learning approach to foster greater economic ties between China and Singapore. SCALA is an industry level academy that leverages on Experiential Workplace Learning™ to help individuals gain industry knowledge to join and to contribute in the supply chain and logistics industry. By working closely with government agencies, industry players, and job seekers, SCALA constantly improves its services, and adds new programmes to help all companies and individuals scale new fronts in the supply chain industry.